Welcome to Luxe Nails & Spa! The moment you step into our luxurious spa, you’ll receive a friendly welcome by one of our professional and fully-licensed nail technicians who are ready to treat you like royalty! We know how busy you are, so we want you to have a fabulous experience when you treat yourself to a little ‘me’ time. Luxe Nails & Spa offers a state-of-the-art mani-pedi experience that will leave you feeling like a million bucks! At Luxe Nails & Spa, our main approach is to provide top-quality nail treatments and exceptional spa services to all our guests. Think of our modern and luxurious nail spa as your ‘modern paradise.’ Whether its your day off or you’ve got a special occasion coming up, come get your nails done with us and pamper yourself for a relaxing day at Luxe Nails & Spa! 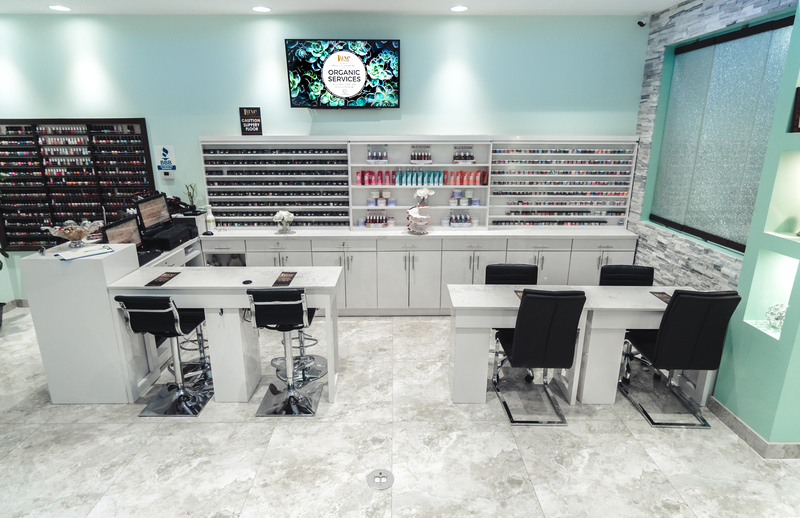 We guarantee that the moment you enter Luxe Nails & Spa, our friendly and professional nail technicians are dedicated to creating the ultimate nail lounge experience! At Luxe Nails & Spa, you can let your hair down and let one of our nail technicians pamper you from your hands and down to your toes! We take pride in our high standards of sanitation as Luxe Nails & Spa locations are fully-equipped with Contego Spa chairs for our clients to relax in while they receive pedicure treatments. What sets us apart from other nail spas is that our establishment is completely odour-free. When you walk into other nail spas, they smell like harsh chemicals typically associated with nail treatments, but that’s not the case for us! At Luxe Nails & Spa, our focus is providing you excellent nail services in a nurturing and odor-free environment. We are here to give you the ultimate nail spa experience and guarantee to exceed your expectations. Contact us now to set up an appointment at (480) 306-8668 or Email: contact@luxenailspa.com. See you soon! Say goodbye to heavy, shellac nails and say hello to SNS Nails! SNS stands for Signature Nail Systems and it’s the hottest manicure trend out there right now! 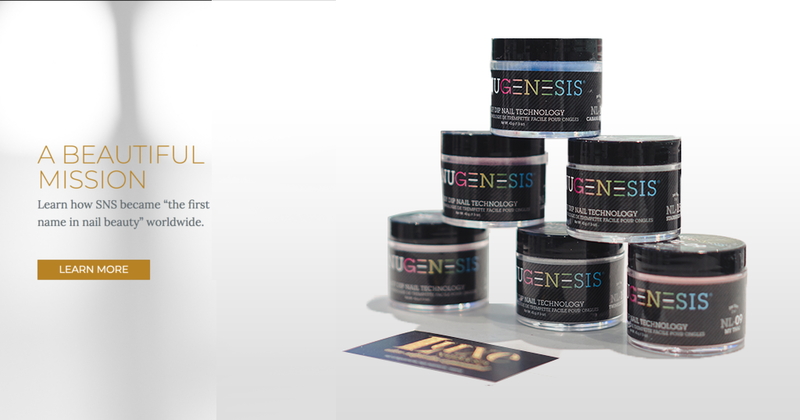 Its revolutionary dipping powder is completely odor-free, lightweight, and durable. And guess what? It’s good for your nails! How Does SNS Dipping Powder Work? The SNS Nails process involves putting tips on your nails, applying a gel base, dipping the nails in powder, and shaping it with a top gel coat. This process of dipping your nails in the SNS powder takes several times until the desired shape and colour has emerged. days when you just need to get away and relax from it all. Why Choose SNS Nail Systems? Other nail treatments such as shellac and acrylic requires the application of liquid chemicals and UV lights. Overtime, this process can wear down your real nail beds and cause nail damage. That’s not the case with SNS Nails! It’s healthy to apply the main gel base to your nails because it contains nail-fortifying calcium and other minerals that stimulate healthy nail growth. Another bonus! SNS Nails is just like nail polish in that the powders comes in hundreds of different shades and colours. With SNS Nails, you can get any nail design applied to your nails, as it can be formed and shaped to display ombre or two-toned designs. In 2004, Contego Spa Designs designed an innovative pedi-spa chair that provides a 100% disposable foot spa system for each pedicure client. Each Contego spa chair comes with Air Jet Liner technology that provides full protection from cross-contamination. That means there’s absolutely no chance of getting foot infections or foot bacteria. Of course! We want you to feel comfortable when you get a pedicure at Luxe Nails & Spa and our main priority is to provide a highly sanitized pedicure experience that is safe for your feet and adheres to the best hygiene nail spa standards in the industry. What’s the Best Thing About Contego Spa? The benefits of having Contego spa chairs at Luxe Nail & Spa is obvious! They’re super relaxing. The moment you settle into one of the spa chairs, relax, and let the warm water relax your feet and let us do the work! Let Contego Spa Take You Away! At Luxe Nails & Spa, we are here to give you the ultimate nail spa experience with Contego Spa chairs you’re guaranteed you to have the most relaxing pedicure ever! Contact us Luxe Nails & Spa to schedule an appointment at (480) 306-8668 or Email: contact@new.luxenailandspa.com. We also host wedding parties and corporate groups, but we recommend to book ahead. See you soon!